This German-inspired hefeweizen features Mandarina hops. While lacking the yeast character of a German weissbier, the balance of this West Coast wheat hews a bit toward malt, so it provides a nice counter to the relentless march of hoppy beers that we mostly see these days. It packs a good bit of fruit, with a big peach note up front and a hint of cherries as well. And the hops are not forgotten: A bit of raw hop pops up on the nose, and the finish is clean without showing pronounced bitterness. A slight tang of acidity brightens the flavors a bit, but a dollop of astringency at the end was a little harsh. 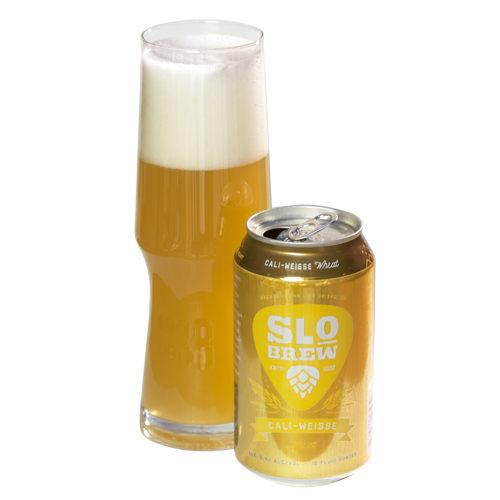 Overall a rich and inviting alternative to endless IPAs. Ray Daniels is the founder and director of the Cicerone Certification Program and the author, editor or publisher of more than two dozen books on beer and brewing. Follow him on Twitter @Cicerone_org. With my eyes closed, there’s a lot to like about this beer. Aromas and flavors of apricot and peach skins, with navel orange zest and even a bit of ripe berry. A soft hop bitterness shows that just the right amount can have a positive effect. Visually, it’s not very appealing. Dim and cloudy, it’s a murky yellow verging on brown, the opposite of the sunshine haze of a hefeweizen. Right from the can this won’t be a concern, so get this out on the golf course or to the pool.